While New York City may be the city that comes to our minds when we think about cheesecakes, Tokyo has some innovative high-quality cheesecakes that are worth trying out (We’re looking at you Pablo). 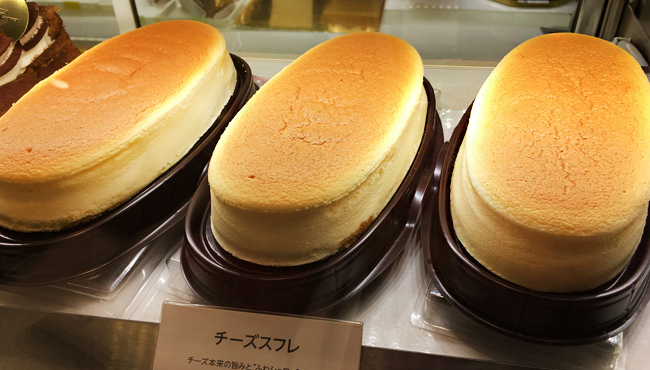 Here are 10 cheesecake places in Tokyo that you can’t miss out on. Whether you’re into the classic NY-style cheesecake or into a cheesecake with a twist we’ve got something for you. It wouldn’t be an overstatement to say that Pablo is taking Japan by storm. Whether it’s on social media or magazines, it seems to be capturing everyone’s attention. What’s so extraordinary about Pablo? you ask. This company has managed to completely change people’s perspectives on cheesecakes. Don’t think cheesecakes. Think steaks. Yes, that steak. The founder of Pablo was inspired by the way we eat steak. He started thinking how it would be interesting if we could eat our cheesecakes with different textures and that’s when he came up with the idea of allowing customers to choose how “baked” they want their cheesecakes to be. For those of you that want a smooth somewhat gooey texture, opt for their “rare cheesecakes”. (Think egg tarts) If you’re someone that prefers a fluffy cheesecake definitely try their “medium baked”. While the quaint place may be more famous for its coffee, (James Freeman, the founder of Blue Bottle Coffee has even mentioned this place an inspiration.) you can’t miss out on their no-bake cheesecake either. Their cheesecakes have a nice elegant aftertaste that matches perfectly well with their coffee. The next time you find yourself shopping in Shibuya, why not make a pitstop at this caffeine haven and try their superb cheesecakes? I may be cheating by adding Buono in a list of cheesecake shops as this place technically offers stick shaped cheesecakes. Made from a combination of camembert and cream cheese and sandwiched between moist pound cakes, Buono’s cheese sticks offer a rich and creamy taste. As these cheese sticks are wrapped up individually, they are the perfect afternoon pick-me-up. The adorable packaging of these cheese sticks also make as the perfect souvenir. Constantly praised as one of the best cheesecake joints in Tokyo this list wouldn’t be complete without giving a shout out to Johann. If you’re passionate about cheesecakes, you need to hit up Johann. Satisfying Tokyoites since 1978, this is the place where you can find authentic NY-style cheesecake. Worried about your sugar intake? Don’t worry. Johann is famous for baking with less sugar and for using more than 65% of “real cheese” in each of their cakes. Compared to your average cake, eating a slice of cheesecake from Johann should be considered a healthy alternative. Get ready for a mouthwatering sensation….!! Hailing from France, Criollo’s cheesecakes are a true treat for any cheesecake lover. This cheesecake has a rich cheese flavor with a super soft texture that literally melts into your mouth. Too busy to go to Nakameguro? Criollo’s got you covered. Their cheesecakes are currently sold online as well so you can get a hold of it from the comfort of your own house. Rumor has it that this cheesecake sold 2000 cakes within 10 minutes. Looking for more cheesecake joints? Here are 5 other cheesecake places that you should check out. 5 Best Wagyu Burger in Tokyo!